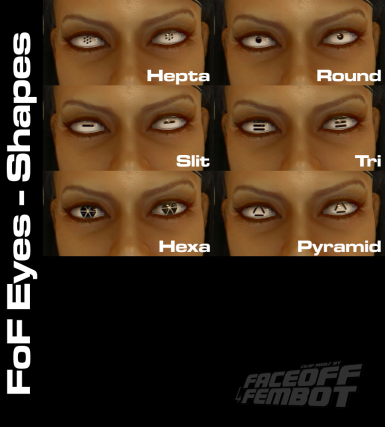 Adds 51 non-replacer cyber-flavored eyes textures. 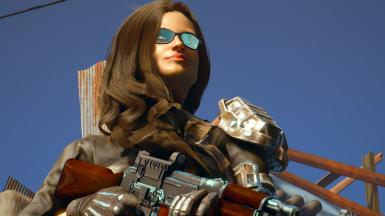 Just what it says on the tin. 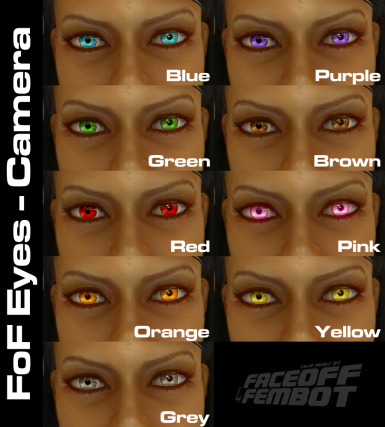 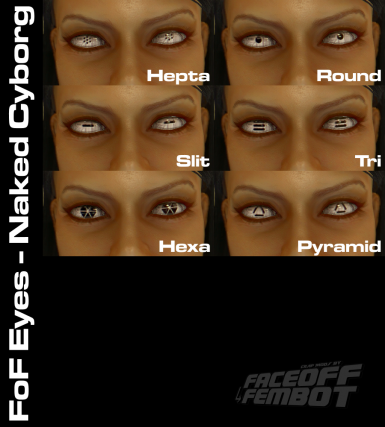 51 non-replacer 256*256 cybernetic looking eyes textures, male and female compatible. They're not currently on any NPC, but you can always showlooksmenu'em in. 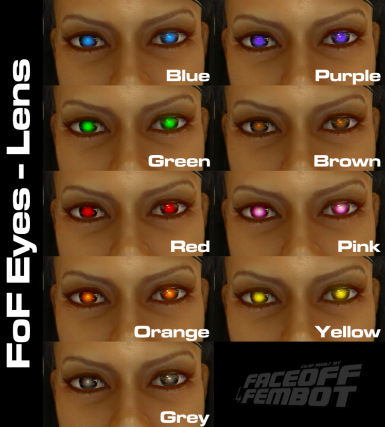 51 versions as of 1.0, all male and female compatible. 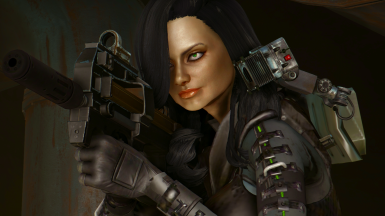 Nexus mod Manager should install the mod just fine on its own. 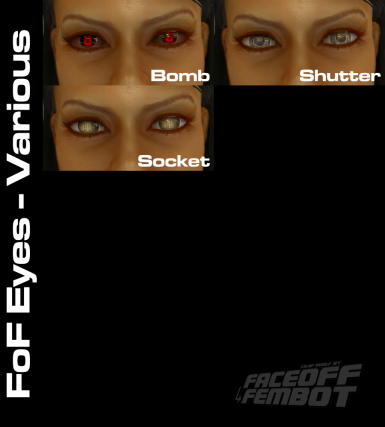 Otherwise, just plop FoFEyes.esp and FoFEyes - Main.BA2 into your Fallout 4\Data folder.